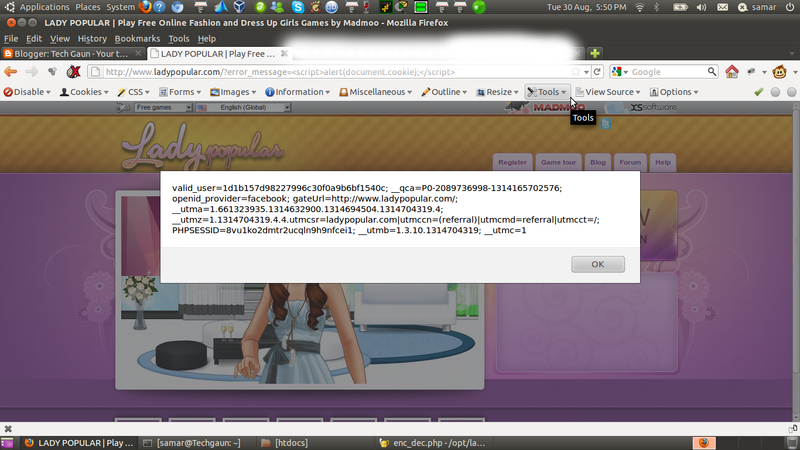 I've notified the ladypopular team about the vulnerability. In the previous post, MTPuTTY(which was written in native win32 code) was introduced as the solution for multiple tabs in Putty. But there are few other solutions already for multiple tabs in PuTTY which I am introducing in this post. Both the tools I am talking about require .NET framework 2.0 to function which was not the necessity of MTPuTTY. The first one is PuTTY Connection Manager addon. PuTTY Connection Manager is a free PuTTY Client Add-on for Windows platforms which goal is to provide a solution for managing multiple PuTTY instances. For more details and downloads, visit official site. Another tool is PuTTYTabs which reads the Registry information of PuTTY and opens a new tab for each opened window by the user. The source code of PuttyTabs is also available for download. If you are familiar with SSH, you've most likely used Putty for SSH logins, tunnelling, etc. One bad thing about putty is we need to open separate windows for each connection but TTY Plus has developed MTPuTTY as solution for this. MTPuTTY (Multi-Tabbed PuTTY) is a small free utility enabling you to wrap unlimited number of PuTTY applications in one tabbed GUI interface. You are still continue using your favorite SSH client, but you are no longer messing around with PuTTY windows - each window will be opened in a separate tab. However, as of now, it is for only windows system. Fraps is a universal Windows application that can be used with games using DirectX or OpenGL graphic technology. This application software can be used for real time video capturing and benchmarking. Realtime Video Capture Software - Have you ever wanted to record video while playing your favourite game? Come join the Machinima revolution! Throw away the VCR, forget about using a DV cam, game recording has never been this easy! Fraps can capture audio and video up to 2560x1600 with custom frame rates from 1 to 120 frames per second! In the earlier versions(< 4), there was not any direct method of resizing the size of virtual box disk however with the release of Virtualbox 4 and higher, the VBoxManage tool can be easily used to resize the vbox disks. Open the terminal and navigate to the folder that contains your Vbox disk and just type the following command and in few secs, you are done. The above command will resize the filename.vdi disk to 30 GB(30GB = 30*1024 = 30720). If you are running virtualbox version less than 4, then you will have to create a bigger virtual disk and then clone the content from the existing virtual disk. You can freely download the disk cloning/backup tools for cloning. I hope this helps. 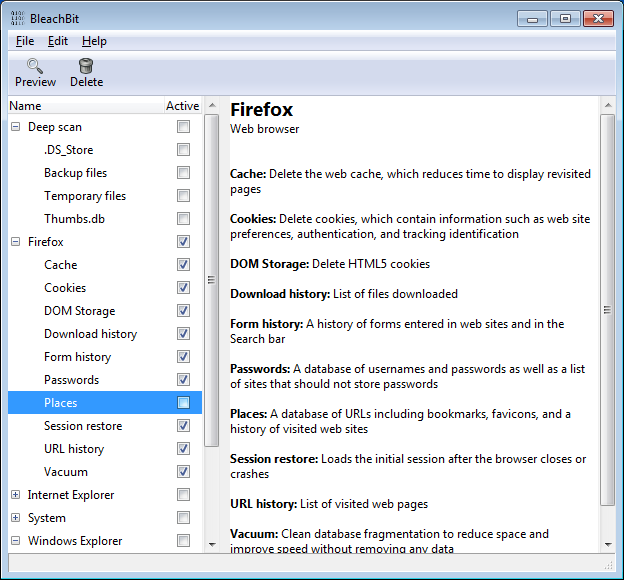 JonDoFox is a firefox profile that has been optimized for anonymous and secure web surfing. The profile requires a proxy changer such as Tor. However JonDoFox makers have also developed JonDo as the proxy changer. JonDoFox is available for all major platforms and debian/ubuntu users can download the .deb package for easy installation. For downloads and installation instructions, visit the JonDoFox page. Earlier I posted about web server fingerprinting using telnet however more sophisticated tools have been developed out there and one of them is httprint. httprint is a web server fingerprinting tool. It relies on web server characteristics to accurately identify web servers, despite the fact that they may have been obfuscated by changing the server banner strings, or by plug-ins such as mod_security or servermask. httprint can also be used to detect web enabled devices which do not have a server banner string, such as wireless access points, routers, switches, cable modems, etc. httprint uses text signature strings and it is very easy to add signatures to the signature database. -Identification of web servers despite the banner string and any other obfuscation. httprint can successfully identify the underlying web servers when their headers are mangled by either patching the binary, by modules such as mod_security.c or by commercial products such as ServerMask. Click here to see an example of how httprint detects disguised servers. -Inventorying of web enabled devices such as printers, routers, switches, wireless access points, etc. Click on the sample HTML report. -Customisable web server signature database. To add new signatures, simply cut and paste the httprint output against unknown servers into the signatures text file. -Confidence Ratings. httprint now picks the best matches based on confidence ratings, derived using a fuzzy logic technique, instead of going by the highest weight. More details on the significance of confidence ratings can be found in section 8.4 of the Introduction to HTTP fingerprinting paper. -Multi-threaded engine. httprint v301 is a complete re-write, featuring a multi-threaded scanner, to process multiple hosts in parallel. This greatly saves scanning time. *multi-threading is not yet supported in the FreeBSD version. -SSL information gathering. httprint now gathers SSL certificate information, which helps you identify expired SSL certificates, ciphers used, certificate issuer, and other such SSL related details. -Automatic SSL detection. httprint can detect if a port is SSL enabled or not, and can automatically switch to SSL connections when needed. -Automatic traversal of HTTP 301 and 302 redirects. Many servers who have transferred their content to other servers send a default redirect response towards all HTTP requests. httprint now follows the redirection and fingerprints the new server pointed to. This feature is enabled by default and can be turned off, if needed. -Ability to import web servers from nmap network scans. httprint can import nmap's xml output files. -Reports in HTML, CSV and XML formats. For more information and downloads, Check this link. Also, if you want to learn more about webserver fingerprinting, I would highly recommend you to read this paper. Hi this time I am presenting you a simple quick tip that can be used to fingerprint the web servers. This can be quite handy for basic fingerprinting to determine web server version. Note that this method works only if the web server provides the HEAD method as one of its methods(Other methods you might have commonly heard are GET, and POST). Prey is an open source application that helps us track the lost laptops or phones. Prey lets you keep track of your phone or laptop at all times, and will help you find it if it ever gets lost or stolen. It's lightweight, open source software, and free for anyone to use. In order to understand more about the project, visit the Official website. Also try this video tutorial for configuring the Prey application. Wally is a Qt4 wallpaper changer using multiple sources like files, folders, FTP remote folders, Flickr, Yahoo!, Panoramio, Pikeo, Ipernity, Photobucket, Buzznet, Picasa and Smugmug images. It is available in many languages. Supported Linux window managers are GNOME, KDE 3, KDE 4, Xfce 4, BlackBox, FluxBox, Window Maker, and FVWM. It is available in ubuntu repository so you can install easily from ubuntu software center. Anomos is a free and open source standalone anonymous and encrypted torrent client so if you are too concerned about anonymity, why not try this torrent client. Anomos is available for all major platforms including windows, linux and OSX. Anomos is designed to be easy to use – you won’t even be aware of the security that it provides. Anybody who is already familiar with BitTorrent won’t have to do anything differently, other than use ‘atorrent’ files rather than ‘torrent’ files. For more technical details, please see this blog post. For downloads and more information, visit the Anomos Official Site. 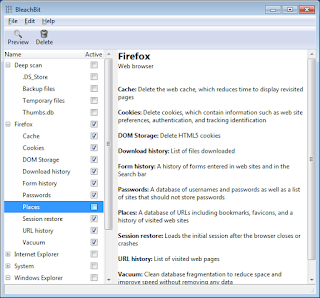 Bleachbit is a free and open-source utility that can be used to clean Junk space to free disk space and maintain privacy. Downloads and more information available at Bleachbit SourceForge Page. This guide is not written by me as I never use windows 7 but one hacker friend of mine found this and sent it to me so I thought why not post for everyone out there to try this stuff to have no need of activating their windows 7. If anyone knows who was the original author of this little guide, please post in the comment so that I can edit this post to give proper credit to the author. 2. Hit Installed Updates. If that link isn't there, hit "view update history" and hit the "installed updates" link at the top. The famous hackers group The Hacker Choice(THC) has released a set of tools to attack the IPv6 protocol. IPv6 is the descendant of IPv4 protocol which was purposed due to exhaustion of the IPv4 pool. THC is proud to be the first who are releasing an comprehensive attack toolkit for the IPv6 protocol suite. It comprises of state-of-the-art tools for alive scanning, man-in-the-middle attacks, denial-of-service etc. which exploits inherent vulnerabilities in IPv6. Included is a fast and easy to use packet crafting library to create your own attack tools. For more information on the project, visit the THC IPv6 Project Page. The most widely used linux-based penetration testing distro, BackTrack had a new release yesterday. Backtrack 5 R1 was released on August 18 which adds 30 new tools in the famous hacker's distro. We are really happy with this release, and believe that as with every release, this is our best one yet. Some pesky issues such as rfkill in VMWare with rtl8187 issues have been fixed, which provides for a much more solid experience with BackTrack. For downloads, visit Backtrack Download Page.